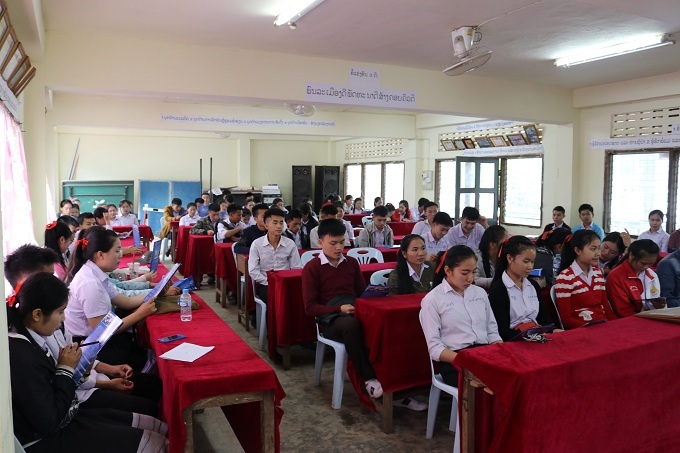 In the framework of academic cooperation with Lao departments of Education and Sports, Vinh University appointed a delegation to Oudomxay Department of Education and Sports and high schools in this province from May 22-23, 2018. The delegation included MA. Nguyen Van Hai, Vice Director of Research and International Affairs Dept. and Dr. Nguyen Thanh Vinh, Vice Director of Academic Affairs Dept. 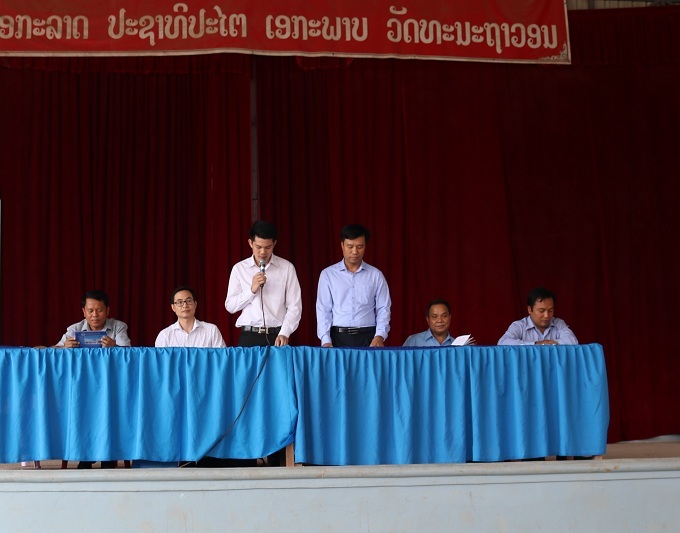 To start a long business trip in Laos, the delegation worked with Oudomxay Department of Education and Sports. On behalf of the Department, Mr. Phuangvilay Inthavong, Vice Director, welcomed the delegation with the participation of Mr. Khamdeng Sengsouk, Head of Vocational Education; Mrs. Sonsida, representative of Foreign Affairs Dept. and other staff of related divisions. 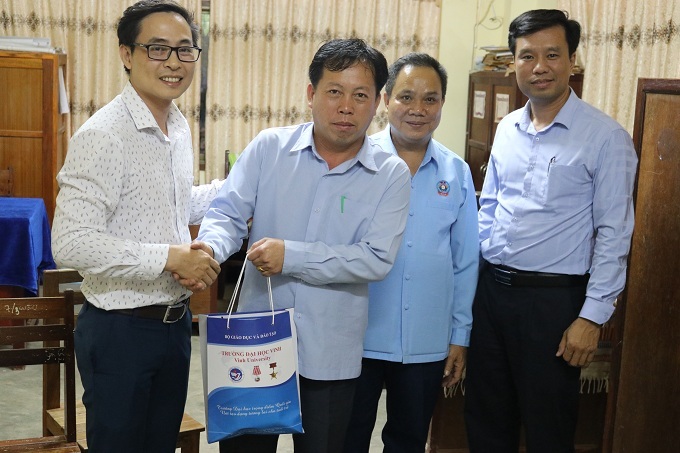 Mr. Phuangvilay Inthavong thanked Vinh University for supporting the Department in training the human resource not only for Oudomxay Province but also Lao PDR. He provided lots of information about human training in the province to the delegation. He also appreciated Vinh University’s special policies for Lao student training. On behalf of the delegation, MA. 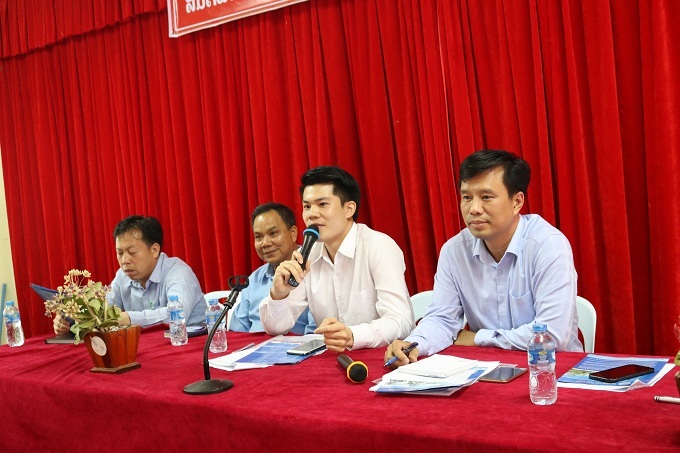 Nguyen Van Hai presented his deep thanks to Oudomxay Department of Education and Sports for the reception and all arrangements so that the delegation could meet and work with relevant divisions. 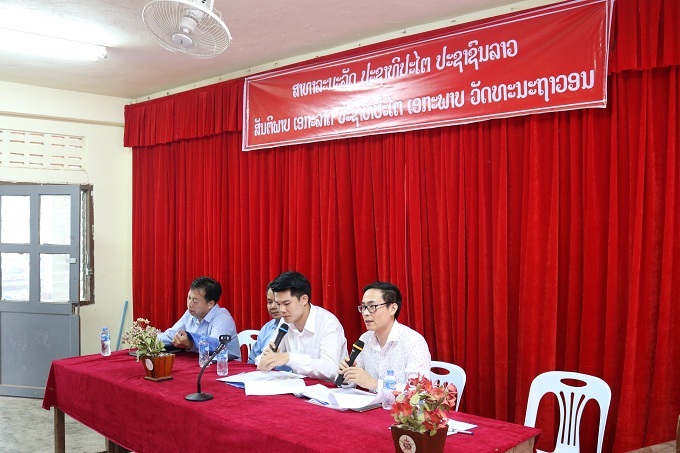 He also updated information about training programmes at Vinh University and highlighted that Vinh University is always willing to train qualified students to Lao PDR. 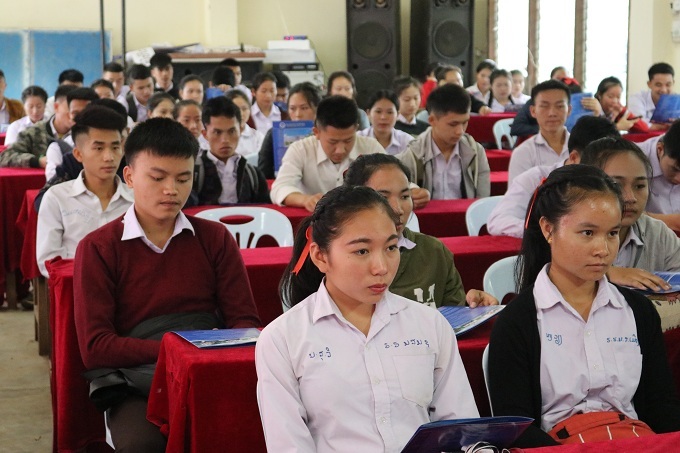 After the meeting with Oudomxay Department of Education and Sports, the delegation of Vinh University went to high schools in Oudomxay Province to meet students. 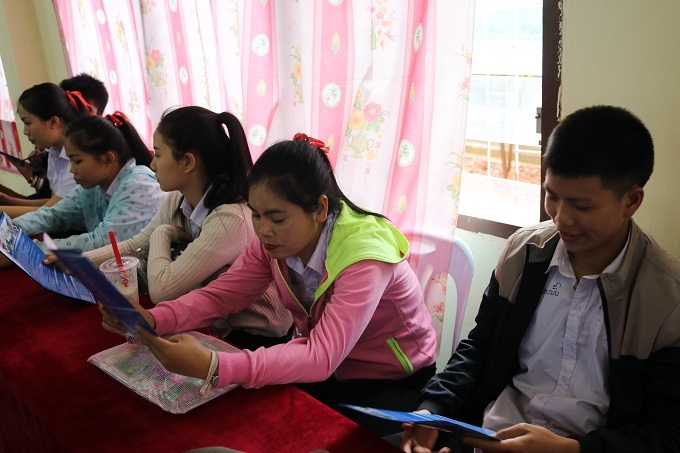 They provided all information about training programmes at Vinh University and answer all related questions by students and teachers. 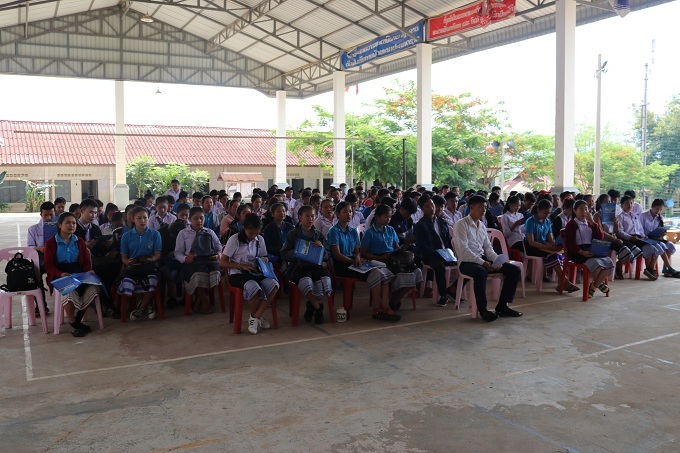 Hundreds of students participated in the information meetings with Vinh University’s representatives. The delegation continues their trip to other provinces afterward.